Kellie Daab, Wedding Business Architect, and founder at iDo Collective is a wedding industry thought leader, author, and business strategist. Having owned a boutique wedding planning firm, managing high end hospitality venues, and producing events for a multi-million dollar catering company, Kellie has worn the heels and carried the bus tubs. Producing over 300 weddings in her career, Kellie now helps event industry professionals create brands they love, strategies that work, and processes they love! 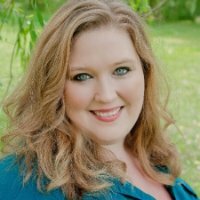 Her local and national speaking resume includes organizations like ABC,Catersource, NACE, Wedding Business Workshops, Book More Brides, Aisle Planner and more. Kellie's speaking style has been described as "a smack down delivered with a bouquet of roses."! Kellie is also a featured contributor for outlets like Huffington Post, Wedding Industry IQ, Rising Tide Society, Wedding Business Magazine, Wedding Business Success, Planners Lounge, and many more. As the community creator of the education based media outlet, Wedding Industry Education, Kellie leads over 6,000 wedding professionals by encouraging their innovation and empowering their ingenuity. Through community development, Kellie facilitates live education sessions, educational articles, and provides bar raising advice to wedding professionals around the globe.